Need to make party favors?…How about using delicious kettle corn. Create cute, fun, custom favors with our kettle corn. Order a 50 Qt. bag in colors that go with your party theme. Be it, birthday party or baby shower, give your guests a treat with our salty sweet goodness! 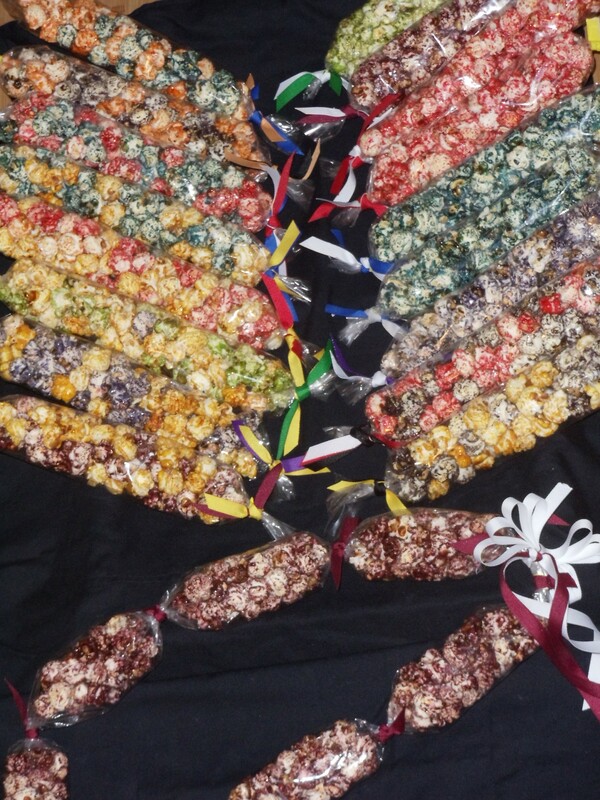 We are able to create custom colored kettle corn leis or kettle corn stix with the colors for your school, sports team, company or business. 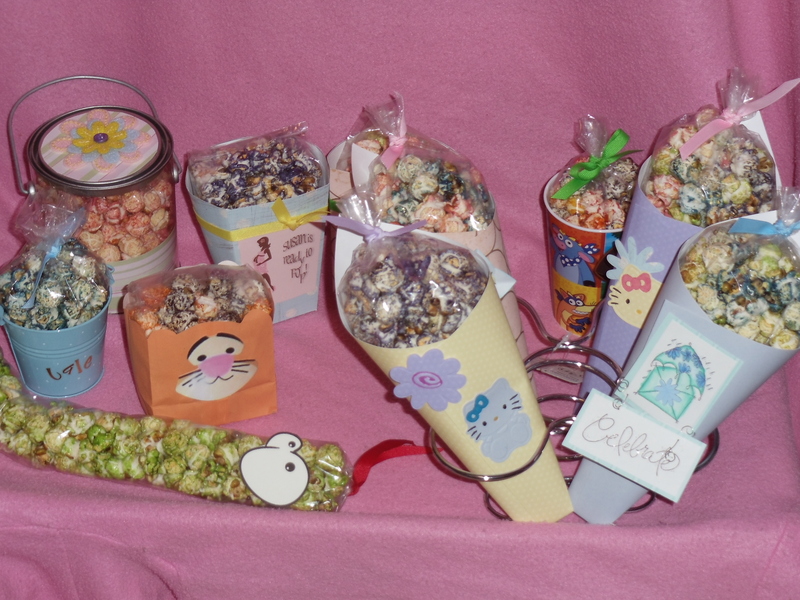 Use kettle corn leis or stix as thank you’s, reward prizes, goodie bag fillers, party favors, omiyage or just because. Choose from red, orange, yellow, green, blue, purple, black, maroon, teal or pink. We can accommodate special requests, please contact us.